Can Dündar Age, Career, Spouse, Family & Facts. 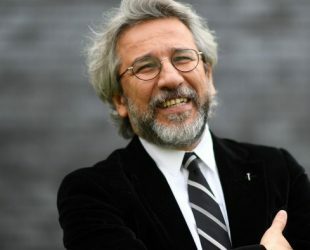 Can Dündar was born on 16 June 1961 in Ankara, Turkey, is a Turkish journalist, columnist and documentarian. The former editor of Turkish daily news paper “Cumhuriyet”, has been on trial in absentia in Turkey for alleged terrorist links. Dundar, who is living in exile in Germany, has also been nominated for a Nobel Peace Prize.